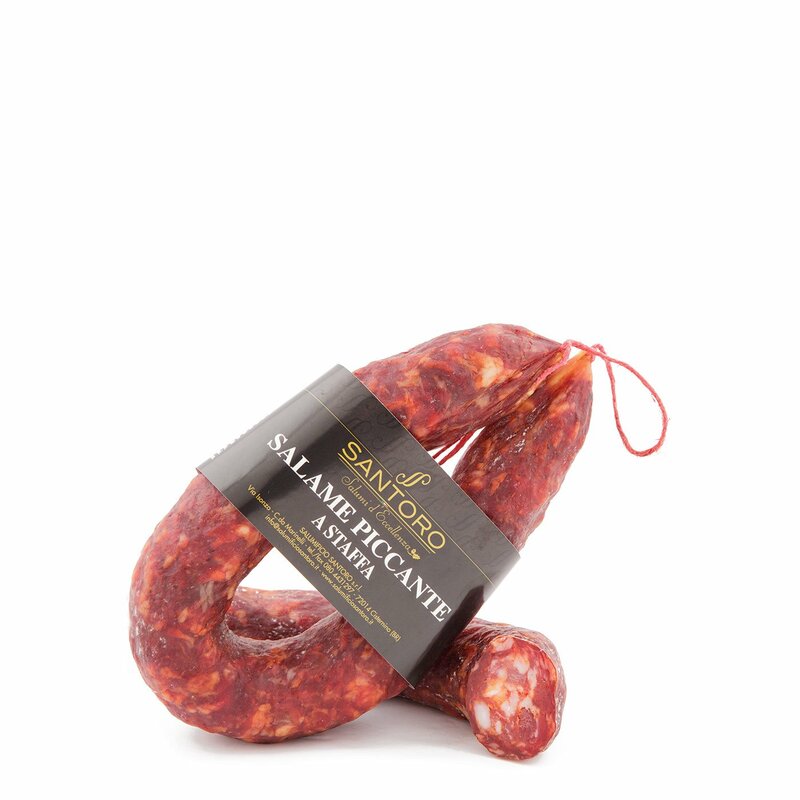 Spicy Salame a Staffa derives its name from the "staffa," or "stirrup," the distinct shape of the natural casing into which it is stuffed. Characterised by a fine, bright rosy colour, the meat is medium ground, with a perfect balance of lean and fat, and a touch of spicy chili pepper. An irresistible, impressive flavour to be enjoyed in all its simplicity: Cut it in thin slices and enjoy it with a dainty piece of durum wheat bread and a fine glass of wine. Ingredients Pork, salt, chili pepper, natural aromas, vino cotto, antioxidant: ascorbic acid, preservatives: potassium nitrate. For more information on product labels, please contact our Customer Service department. The information on the labels of the products may vary for reasons beyond our control, therefore, there may be discrepancies between the information on the site and that on the products delivered. Please always check the information on the product before consumption or use.